Laura Maczka was indicted this month on federal charges, including wire fraud and bribery, the U.S. attorney's office for the Eastern District of Texas announced Wednesday. Richardson — A former Richardson mayor and her developer husband – both the subject of WFAA stories – have been indicted on federal bribery charges in connection with a controversial apartment development. 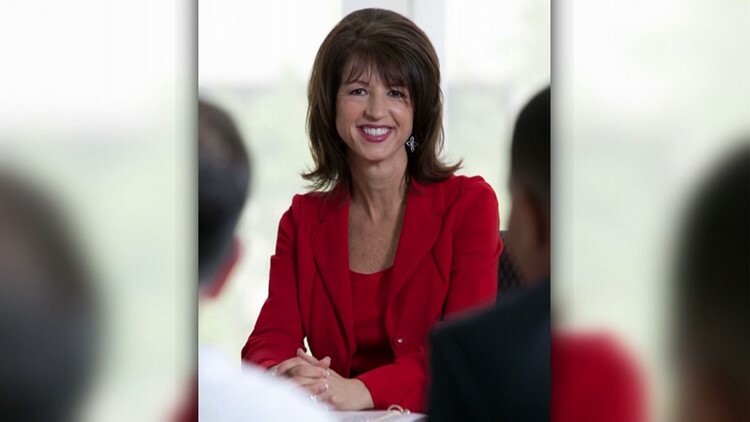 The U.S. attorney for the Eastern District of Texas in Plano alleges that when she was mayor in 2015, Laura Maczka, 53, took bribes from developer Mark Jordan, 51, and in exchange supported his unpopular 1,000-unit Palisades apartment project. A federal grand jury returned a seven-count, 30-page indictment May 10 charging the pair with conspiracy to commit honest services wire fraud, honest services wire fraud, conspiracy to commit bribery, and bribery concerning programs receiving federal funds. They each face up to 20 years in prison if convicted. On Wednesday, Maczka and Jordan appeared before a federal judge and pleaded not guilty, a U.S. attorney’s office spokeswoman said. Both were released pending trial, the spokeswoman said. Neither Maczka nor Jordan returned phone calls Wednesday. Starting around 2013, people in the Canyon Creek and Prairie Creek neighborhoods in Richardson voiced fierce opposition to Jordan’s Palisades development, which included hundreds of apartments. Maczka had campaigned against such projects, but voted for Jordan’s project anyway, the indictment says. WFAA reported at the time that behind the scenes, Maczka and Jordan were swapping emails and working together to combat, and make fun of, neighborhood opposition. In a 2013 email, featured in a WFAA story and quoted in the indictment, Maczka tells Jordan: “… last night the prairie creek mob hit me hard! You were probably enjoying barbecue and chillaxing. I was taking bullets for you!” The indictment also includes Maczka’s smiley emoji at the end of the email. At the time, Maczka denied to WFAA and her constituents that she had done anything wrong. She also denied she was anything other than a friend and later an employee of Jordan. After quitting as mayor, she took a $150,000 a year job from Jordan, and eventually married him, the indictment says. In exchange for her votes for his project, the indictment says that in addition to a job, Jordan also gave Maczka $18,000 in cash, a $40,000 check, $24,000 in home renovations and paid for luxury hotel stays, airfare upgrades and meals. Jordan, according to the indictment, paid for Maczka to stay with him at a Holiday Inn Express in Plano; at the Deer Valley Resort in Park City, Utah at a cost of more than $7,000; at the Corde Valle Resort in San Marten, Calif., and the Ritz-Carlton in Marina del Ray, Calif.
On the return trip from California, Jordan also upgraded Maczka's flight to first class, the indictment said. The pair stayed together at upscale hotels again in June and August of 2014, and later in Florida in September 2014, according to the court documents. "With the indictment and arrest of Maczka and Jordan, the FBI will continue its efforts to identify and bring to justice those public servants who use their positions of trust to benefit themselves personally and conspire with others to violate federal corruption laws," said Erick K. Jackson, FBI Dallas Special Agent-In-Charge. The City of Richardson released a statement Wednesday, saying it was aware of the investigation and has fully cooperated with the FBI. In the 2015 ethics investigation, "the City exercised the full extent of its power following existing law to conduct the investigation, which was specific to potential City and state ethics violations, finding none," the statement said. "As a non-criminal investigation, the independent investigator did not have subpoena powers and focused solely on alleged violations of specific City and state ethics laws based on the then-available evidence."